"How to Become a Published Author or Grow Your Business as a Recognized Expert in Your Field With a Best-Selling Book, Guaranteed!" Even If You Hate Writing and Even if Your Writing STINKS! "There's no better way to become an instant authority and expert in your field than to become a published author. Clients will be attracted to you like flies, competitors will be jealous and the media will seek YOU out, rather than the other way around!" Best-Selling Author of Multiple Books, Michael Stevenson, Will Teach You How to Write, Edit, Publish and Market Your Own Books and eBooks in this Hands-On Event Where You Will Actually Begin Working On Your Very Own Book At the Event! No matter what your line of business, no matter what your area of knowledge, getting your book published makes you a recognized expert in your field and gives you the prestige of being an authority figure. Best-Selling author of several books (Influence to Profit, Unstuck: The Owner's Manual for Success, The NLP Trainer's Guide Book, Learn Hypnosis... Now!, The Quick Fix: NLP Recipes for Bliss, All the Answers... For a Change, and more) Michael Stevenson will show you everything you need to know, step-by-step, from start to finish, to write, edit, publish and market your book. Publishing to Profit is a hands-on course, not a lecture. You'll bring your laptop or other writing-device to the course and actually begin writing while you're there. "But Writing a Book is Hard, Isn't it?" NO! Writing a book can be incredibly easy... if you know how! The good news is, you can correct all these things by learning a simple step-by-step process that allows you to write a book anytime you want to. "But Getting Published is Difficult, Isn't it?" NO! Gone are the days of failures and rejection letters! I've been in the book publishing industry since 1998: first as an editor, then as an author, and now as a publisher. I can show you how to get your book published every time using a little-known, backdoor into the publishing industry that almost nobody in the public knows about. "One of the fastest ways to grow your business, no matter what business it is, is to become a published author. Your book is the most impressive business card ever and will give you virtually instant prestige as an authority in your field. "When I first set out to write my book, I had been a technical editor for a major publisher. I gathered together all the materials they had on writing, but it took me nearly a year to write my first book. "After refining my process and publishing several books, I became a master at getting books written and published fast so I can grow my business and make a profit in no time. "Now, I'm teaching my seven-step system to get your book done with guaranteed publishing (NO rejection letters!)" In this book-writing, publishing and marketing workshop, you'll learn how to become an expert and an authority as a published author in any field you desire. Michael's trademark seven-step process will guide you step-by-step through writing your book, even if you have NO writing experience. As a master of Neuro-Linguistic Programming (the programming language of your mind and the science of peak potential), Michael will teach you how to organize your writing project, how to motivate yourself and how to structure your book so it practically, "comes to life," right before your eyes. You'll learn how to defeat the biggest obstacle to writing -- writer's block. You'll learn the roles of your conscious mind and subconscious mind in the writing process and how to tap into and leverage each so you gain massive momentum that cannot be stopped. Michael will teach you how you can write a book without even writing at all! It is legally possible to borrow writing from others in the form of quotes, excerpts, references and public domain works. You'll learn the ins and outs of what you can use and how you can use it. You will receive live coaching on your concept, title, cover and structure of your book at the event. You'll learn tips and tricks for spellchecking, proofreading and editing your book and how and where to get illustrations for a professional look. You'll learn how to become your own real publishing company so you can publish your own books and even profit by publishing others' books. There are many benefits to becoming an industry publisher, including strategic advantages and tax benefits. You'll learn how to publish in several formats, including the hottest format going today: eBooks. Since November 2012, eBooks have outsold paperback books every single month on Amazon. 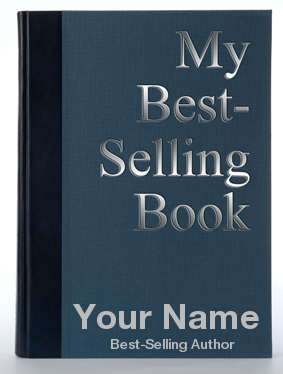 You'll learn Michael's proven strategies for marketing your book to best-seller status. Michael is a best-selling author, and so are many of the people has taught. Being a best-seller makes you an instant authority and once you have best seller status, no one can ever take that away from you. "After attending Michael's event, I was floored by the amount of valuable information I received by both Michael and my fellow classmates. I'm leaving this event with a much clearer understanding of what needs to be done to fully complete my book. You Will Learn to Write and Publish Your Book in 90 Days or Less! With over 20 years of experience in the book publishing industry (Macmillan Publishing, O'Reilly Media, Penguin Group, and Liquid Mirror Publishing) Michael will teach you his proprietary step-by-step process that he and many of his students he taught have used to publish successful non-fiction books. No matter what your field, your published book is the most impressive business card you can carry. Michael will teach you the same techniques he has taught to dozens of successful authors who have been published, using their books to become even more successful. Many of Michael's students have even finished their books in under 90 days and some in as little as 30 days! I had interest from my prospects, and quite a bit of it... It was working. Today I’m extremely happy, honored, and just [expletive] over joyed with happiness. Client: "Because of your book, I chose you"
I'd like to thank Michael and Kayla... for everything you've done and do. Just this one idea to write the book, and taking action and actually beginning and continuing to follow up (the fortune is in the follow up) will easily get me and additional six figures." Closed a $9,942.50 commission deal because of his book which cost him only $2.15 to print. BONUS: Become a Published Author by Day Three of the Event! 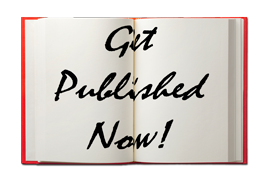 You will actually publish your first book at the workshop! We will show you how to write a quote book with a title that you choose, your own name on the cover, a one-page introduction by you, and your own quotes (or use the pre-selected quotes we have chosen from famous people). On the final day of the training, every person in the room will publish their book as we walk step-by-step through the process. Follow the simple steps and your book will be available for purchase on Amazon within four to six days! And while you probably have another book in you that you want to write, publishing this first book will give you the knowledge and experience to do it again and again and again for your other book projects. We guarantee that you will learn valuable, easy-to-use strategies to write, edit, publish, and market your book with zero fluff. We value your time as highly as we value ours and promise not to waste either. You will be absolutely delighted with the quality and volume of the content and we will take on all the risk to prove it. We also guarantee that this event will not be a "pitch fest." There is a disturbing trend where promoters organize an event only to fill the stage with speaker after speaker who simply tease and pitch you, one after another like some "timeshare" presentation. If you feel like your time has been wasted or feel that this event is a "pitch fest," simply return your materials by the end of the second day and we will issue a full and complete refund of your investment, no hassles. Register for the Live Event! Join us for the Publishing to Profit live event, March 1 - 3, 2019 in Los Angeles, CA! Yes, Michael! I'm ready to write, edit, publish and market my next book easily and efforlessly! 100% Guaranteed No Fluff and 100% Guaranteed No "Pitch Fest"
Add To Cart Now! Limited Seating Available. 100% Guaranteed! Join us for the Publishing to Profit live event February 2019! Join the Waiting List We'll Email You With a Discount When Tickets Are Available!